In the 19th century, before chains like Macy’s and Sears-Roebuck, Washington, D.C. had Woodward & Lothrop. Known affectionately as “Woodies,” it was among the first department stores in the District, and remained the leading retailer in the city for nearly a century. It pioneered modern retailing from returns policies down to the department store choir, revolutionizing the way goods were sold and the culture of department stores. And -- to set the record straight -- while people bemoan stores putting Christmas decorations up before Thanksgiving today, Woodies was already doing it in the 1880s. It was ahead of its time in every respect. Store founders Samuel Walter Woodward and Alvin Lothrop met in Chelsea, MA, where they worked for a local department store. They seemed to take an instant liking to one another, which is probably not surprising considering company lore holds that the two were related through ancestors that came over on the Mayflower. After a heated disagreement with management about marking down a shawl, they relocated to Washington and started their own store, which would prove be one of the most innovative in the country. Starting as the “Boston Dry Goods House,” Woodward & Lothrop stood out from other merchants in the District with its then-revolutionary model of “one price.” The store's salesmen didn’t haggle with customers or follow them to the door in an attempt to close a deal, as was customary in those days; instead, prices were fixed - no negotiation required. Not only that, but customers were encouraged to return products they were unsatisfied with for cash refunds, not just store credit. Woodward and Lothrop also began the first clearance sales, which they called “Remnant Day,” selling unsold merchandise at a discount. This seemed preposterous to their competitors, who predicted that they would be out of business within six months. Woodies lasted for 115 years, and the innovations their competitors derided continue to this day in retail chains across the nation. By the early 20th century, Woodies’ sprawl was almost comical as it stretched from building to building, absorbing all other businesses in its path. The end result was the flagship building at 1025 F St., NW, which towered eight stories high and took up almost an entire city block, with a second huge building across the street. From high-end Paris fashion to sportswear, from children’s toys to furniture in the style of Colonial Williamsburg, there was something for everyone. There was a barber shop, a bakery, a soda fountain, a beauty parlor, a bridal service, and an engraver. Perhaps the most popular department, however, was the famous seventh-floor Tea Room, which served, among other things, Wellesley Fudge Cupcakes. It was a genuine culinary destination in Washington for a long time, and customers would often end up taking tea in the same room as visiting dignitaries and national politicians. All in all, Woodies provided so many services that by 1955, its enormous operating costs made its net profit only 2% of gross sales. By the early 1920s, Woodward & Lothrop was the biggest department store in the country south of Philadelphia, and still growing. Beginning in the 1940s, the store opened locations throughout the capital region, including the only department store space in the Pentagon building in 1946. Management added several more locations over the next decade, including an Eastover location with a centralized checkout (another new modernization) and at spot in the brand-new Tysons Corner mall in 1965. One of Woodward & Lothrop’s signature strengths was its flair for eye-catching displays and promotions. When the store first opened in January 1881, the founders grabbed attention by putting up a display of bright swimwear in the middle of a snowstorm. The new F Street location had huge windows, and they took full advantage of them, not only displaying merchandise, but putting up a variety of attention-grabbing tableaux. The most popular, by far, were their annual Christmas displays. During Christmas seasons in the early 20th century, these were credited with twice as many daily visitors as the Smithsonian. Every year had a different theme. December 1889, for example, showed Cinderella’s story in a window; in 1958, the window featured penguins from the National Zoo. Sometimes, the Christmas promotions were even more elaborate. In 1950, Woodies president Andrew Parker arrived at National Airport to greet Santa Claus as he arrived by plane from the North Pole, and then drove through the streets in a motorized sleigh. Promotions weren’t limited to just the front window, however. In the 1955 Easter season, there were live rabbits in the store; in the 1920s, pony rides (on actual ponies) were available in the toy department. Woodies also frequently hosted special events and extraordinary exhibits. In 1956, it put on the “American Dream Exhibit,” which included such things as the original 13th Amendment document, some of Abraham Lincoln’s personal belongings, Babe Ruth’s uniform, and even some of Adolf Hitler’s paintings, in order to prove “that Hitler would have been better off sticking to watercolors.” However, Woodies’ marketing flair also extended to promotions that would never be considered today, such as a “stag night” where only men were allowed in the store, to be given special deals and a lingerie show in the Tea Room. Woodies was always a store of Washington: not just founded in D.C., but active in its community as well. As befitted a store in the nation’s capital, the store emphasized patriotism during wartime. During World War I, Woodward & Lothrop employees sang patriotic songs for 15 minutes before opening every day. In 1941, the company actively recruited honorably discharged servicemen and-women for positions. Woodies also supported local organizations including the National Symphony Orchestra, the Kennedy Center, and the Board of Trade. It even supplied the White House with china and silver. No doubt these connections help build the store's loyal customer base in Washington. Unfortunately, Woodward & Lothrop also reflected D.C. in terms of racial inequality. Racial segregation and discrimination were company policy, and African-American customers were often given short shrift. After World War I, all black employees were fired to make room for the white workers returning from the war. While longtime white employees were inducted into the “Twenty Year Club” and given a $20 bonus and a celebratory dinner each year, black employees were barred from the Club, instead receiving $5 and being told to buy their own dinner. As a member of the cleaning staff said in 1956: “If you are a colored employee here, the highest you’ll rise will be the top floor as an elevator operator.” This did not change until 1961, when, under pressure from CORE (Congress of Racial Equality), Woodward & Lothrop hired its first black sales representatives. At the time, many department stores were afraid white customers would leave if they desegregated their stores. In the case of Woodies, the progressive and forward-thinking store of the 19th century had become entrenched and slow to act in civil-rights era Washington. Woodward & Lothrop began to run into financial trouble in the 1970s. Facing increasingly stiff competition from Hecht’s, Woodies was no longer the leading retailer in Washington for the first time in decades. Frequent changes in management added uncertainty to the company’s direction, and the disastrous purchase of the creaky Philadelphia-based Wanamaker’s chain added untenable strain to the budget. A costly renovation of the flagship store only added to Woodies' financial burdens and, as Nordstrom and Macy’s muscled into the D.C. market, more and more Woodies locations shuttered. Woodies finally closed for good in 1995, selling its branch locations to Hecht’s and JC Penney. The company that set the standard for innovation in the 1880s, couldn't keep up with retail trends a century later. ^ It was also a technological wonderland, especially for one built in 1887. There were no centralized check out counters, instead customers paid at locations throughout the store. To aid in this, the store had a “Cable Cash Railway,” zipping cash boxes around the store at 14 ft per second to wherever cash was needed. 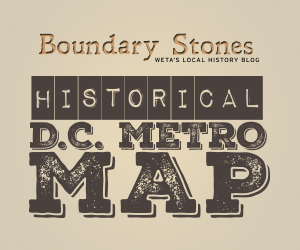 ^ Through the 1950s and 60s, they followed with locations in Bethesda, Falls Church, Wheaton, Alexandria, Eastover, and Prince George’s Plaza. The Uline Arena, AKA Washington Coliseum, hosted the Beatles' First U.S. Concert in February 1964, and concerts by other 1960s music greats.